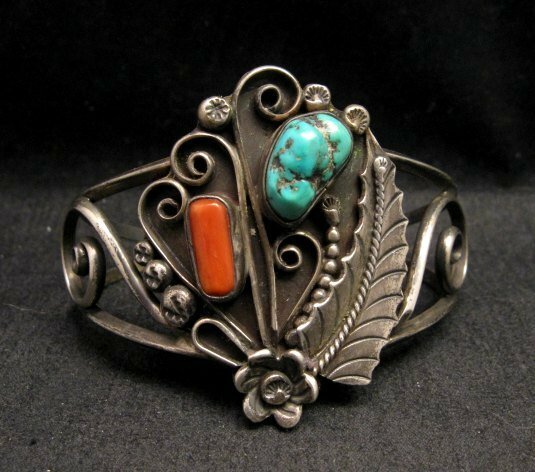 This classic vintage Native American ~ Navajo ~ turquoise, coral and silver bracelet was obtained from a private New Mexico collection. 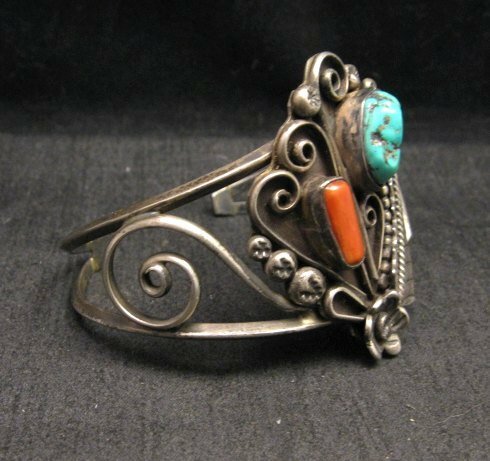 This bracelet features a turquoise stone and a piece or Mediterranean coral set in a lightweight Navajo bracelet. This piece is signed D & J CLark Navajo with an engraver, for Delbert Clark. The J might be for his wife. 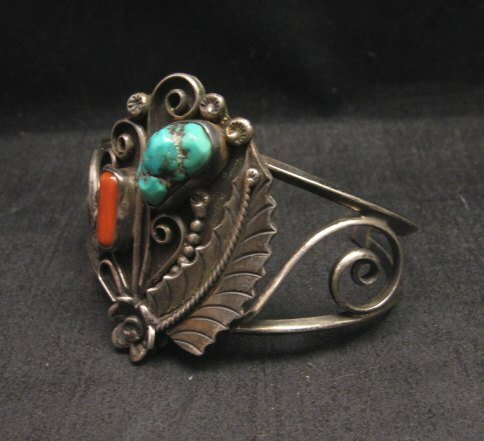 As is the case more often that not with the earlier Native American jewelry, this piece is not marked for silver content or maker. However, I guarantee that it is coin silver (.900/90%) or sterling silver (.925/92.5%). 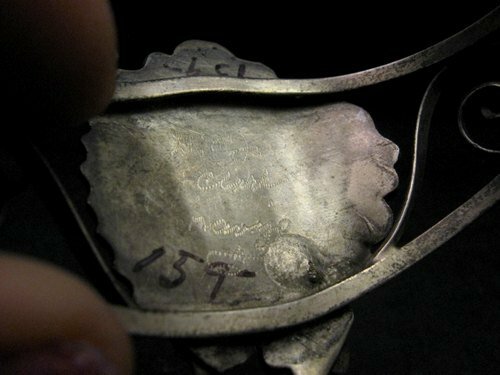 This bracelet has not been cleaned, as many collectors prefer the old pawn look. 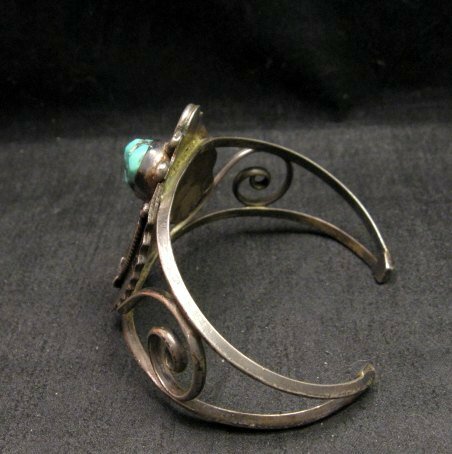 The bracelet measures 1-7/8 inch wide and the inside end-to-end measurement is 5-1/2 inches plus there is a 1-1/8 inch adjustable gap. It weighs 33.5 grams. Excellent vintage condition. circa 1970-80s.